Showcasing the spectacular mime, acrobatic and comedy skills of Peking Opera. The Crossroad Inn, a short martial arts play, is famous for its humour and elaborate ‘fight in the dark’ scene. The expert mime and martial art skills will amaze and delight the audience as two amusing characters attempt to find and fight each other in the dark on a stage bathed in light. 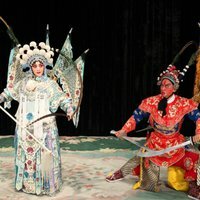 This is a mythical folklore story of the legendary Monkey King and his buddies who seek justice for the villagers who are being bullied by the Evil Leopard Spirit. 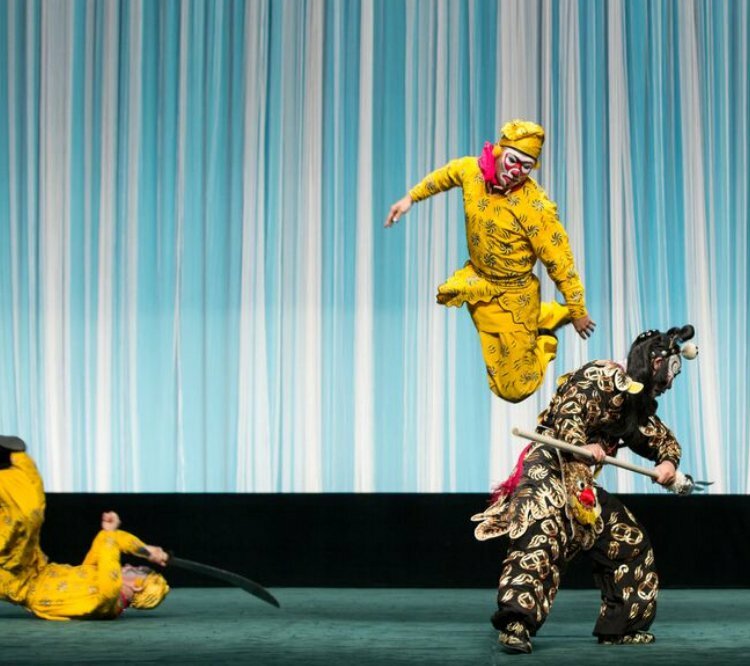 The story, underpinned by the traditional Chinese value of ‘Praising the Virtue and Punishing the Vice’, highlights the stunning acrobatic skills as the Monkey King and his friends battle the wicked Leopard Spirit.